Thinking about Timber Casement Windows? We can help with any material you choose and any design you need. No matter what room in the house, our range of top quality windows will improve your home whatever its age, character or style. Our modern high security Windows and Doors come with the best energy ratings and beautiful looks too. Cheam Windows are one of only a few firms to offer you the complete Window and Door range. We are experienced fitters of beautifully crafted Windows and Doors. 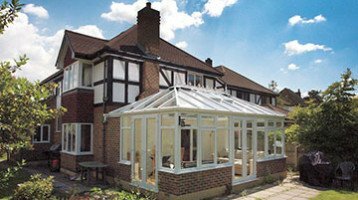 Cheam Windows cover Surrey, London and the surrounding areas. We have been trading under the same name for over 25 Years and have thousands of happy customers. Unlike many firms, we are not tied to one make or style. We can design and install windows in the widest choice of materials and colours, including Timber Casement Windows. A window is not just a window. Certain window styles may not suit the character of your particular property. Windows for modern homes may require flatter, slimmer profiles than the traditional window frames used for older homes. We supply and install new windows for character properties. Aluminium Crittall replacement windows are perfect for art-deco homes. Sash Windows for Edwardian or Victorian houses or bespoke windows for a new build home. With all of our windows you are guaranteed energy efficiency and security to the highest industry standards. We offer a choice of styles and a product to complement your style of home and not a one style fits all. We have three Window and Door showrooms at Banstead, Hampton Court and Worcester Park.